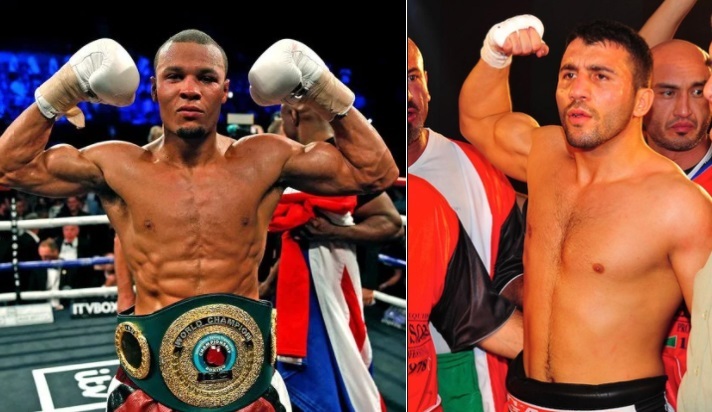 Chris Eubank Jr takes on turkish fighter Avni Yildirim on Saturday, 07 October 2017 at the Hanns-Martin-Schleyer Halle in Stuttgart to defend his IBO World super middleweight crown and also start his campaign in the much talked about “World Boxing Super Series”. Eubank Jr vs Yildirim is the quaraterfinal contest in super-middleweight category and the winner of this fight will take on George Groves or Jamie Cox in the semifinal stage. Chris Eubank Jr is heavy favourite for this fight and a win might setup a super domestic clash against George Groves if he beat Cox a week later. Loads of nasty words thrown at each other in the build up to the fight and we can expect some fire works come saturday night. However Eubank Jr will be slightly favourite even though playing in front of majority turkish fans in Stuttgart. Eubank Jr defends his IBO Super-Middleweight crown and this is a massive fight in his career where he is expected to win convincingly. So we take a look at your options how you can watch the fight live in the UK and other parts of the world. Chris Eubank Jr vs Avni Yildirim TV Coverage: The fight will be broadcasted live in the UK on ITV Box Office priced at a mere £9.95. The coverage begins at around 08:00 p.m uk time and we have many undercard fights on the night which will be broadcasted first on free-to-air channel ITV and than closer to main-event it will go into encruption and only PPV buyers can watch the broadcast. Coverage Starts Coverage starts at around 06:00 p.m uk time on ITV regular channel. But it will go into encryption at around 07:00 p.m uk time and only PPV buyers can access the broadcast.